Have you started putting your Christmas cards together yet? Start crafting them today with this adorable sketch - you'll be able to use it with a variety of papers and colors, making each card an individual work of art. Layer two background papers, a solid color and a light pattern. Then mat a piece of decorator paper on a coordinating color and tilt it slightly off center. You can use two images for the top square and circle, or you can make one another block of pattern. 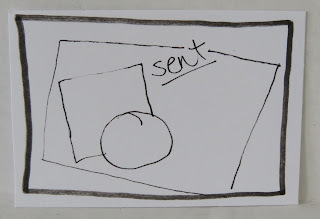 A small sentiment in the blank space at the top of the card will finish off your design. 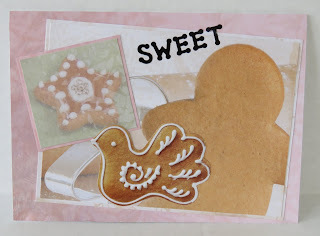 For my card, I found three Christmas cookie-themed images and stacked them for a cute layout. 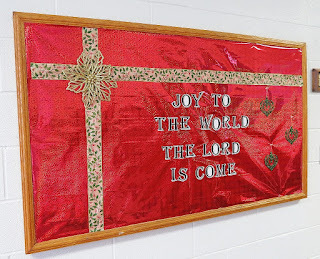 The background paper is a very light peppermint candy pattern. Then I cut a gingerbread man image out of a piece of decorator paper and matted it on a light color, layering it slightly askew on the right hand side. 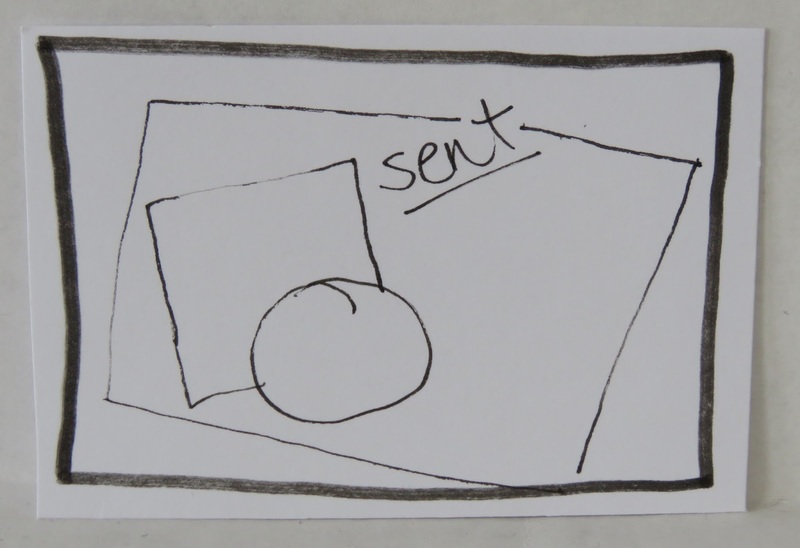 The square cookie is also from a piece of decorator paper, matted on a pink solid card stock. 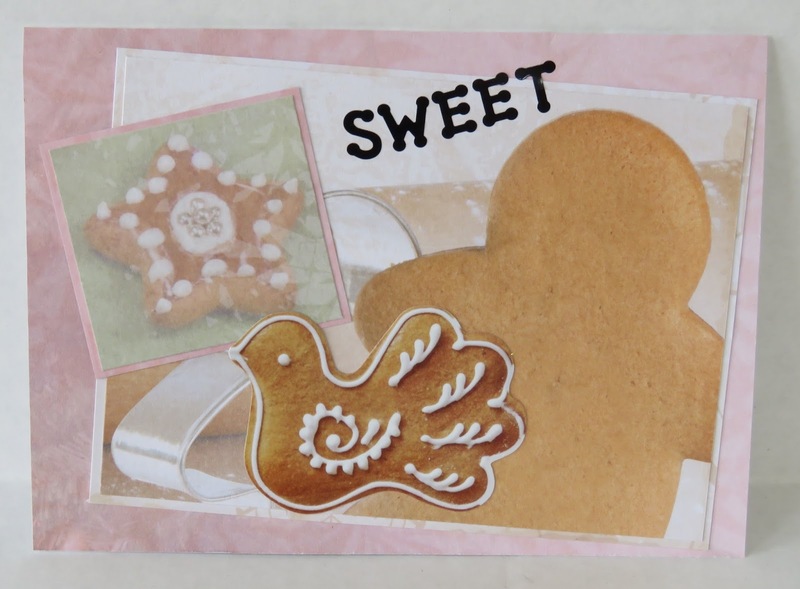 The dove cookie is a card stock die cut layered on the very top. I finished it off with alphabet stickers for my personalized phrase. For more great layouts, come visit my Etsy shop. You'll find hundreds of Christian cards, journals and other paper crafts, perfect for holiday gift giving.